When it comes to high-production digging, you just can’t beat an excavator on steel tracks. But take away the undercarriage and add wheels and you get a very different machine. 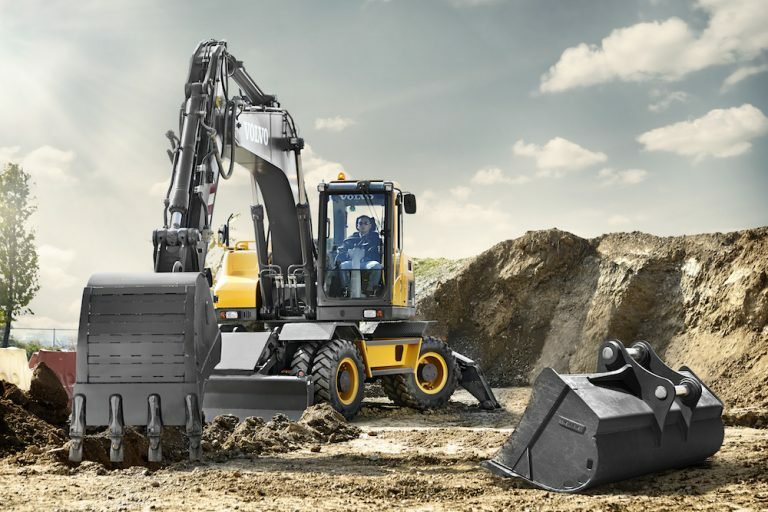 Wheeled excavators can’t dig as aggressively as their tracked cousins, but with a quick coupler and attachments, they can perform a surprising variety of jobs and manoeuvre in places where any other type of heavy equipment would be impossible. European contractors use wheeled excavators much more than their American counterparts. Part of this is because American contractors do a lot more pioneering—digging and clearing raw land—and Europeans work more in urban environments. Tracked excavators with their grousers have a considerably larger footprint than the contact patch of four tires on a wheeled excavator. And the considerable weight of an undercarriage helps stabilize these machines. Plus the centre of gravity is lower with a tracked excavator since the tires raise the machine up a bit. But with its outriggers deployed and its dozer blade on the ground wheeled excavators can be just as, if not more stable, than tracked versions. The tracked machine is designed primarily for digging. 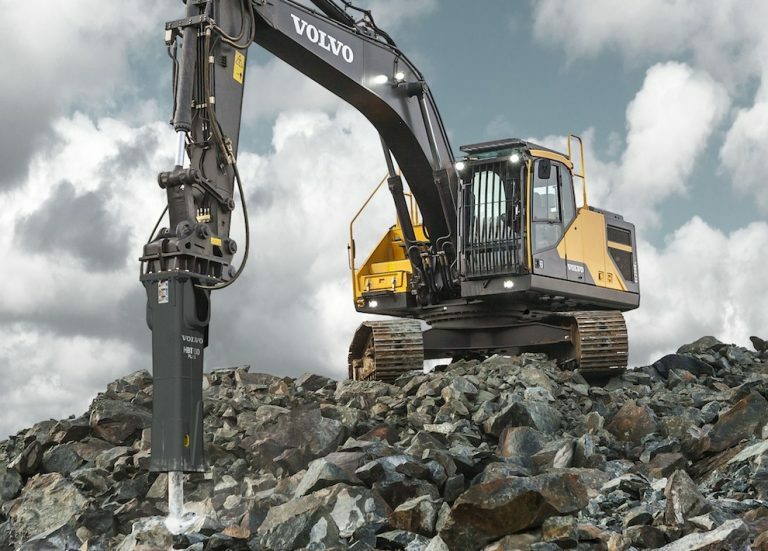 It can also be outfitted with a hammer, crusher or shear and do demolition and quarry work. The wheeled excavator can do all these things as well—but it can also do them on hard surfaces a tracked machine would otherwise destroy. That gives wheeled excavators access to urban environments, paved roadways, building slabs and parking lots. 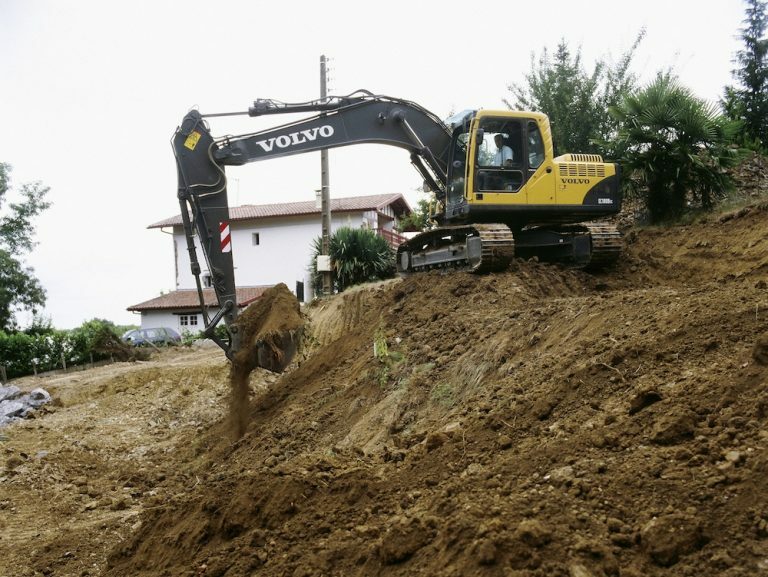 With different attachments wheeled excavators can not only dig and do demolition work, they can move concrete barriers, clean ditches from the road, mow, cut asphalt and grind trees. 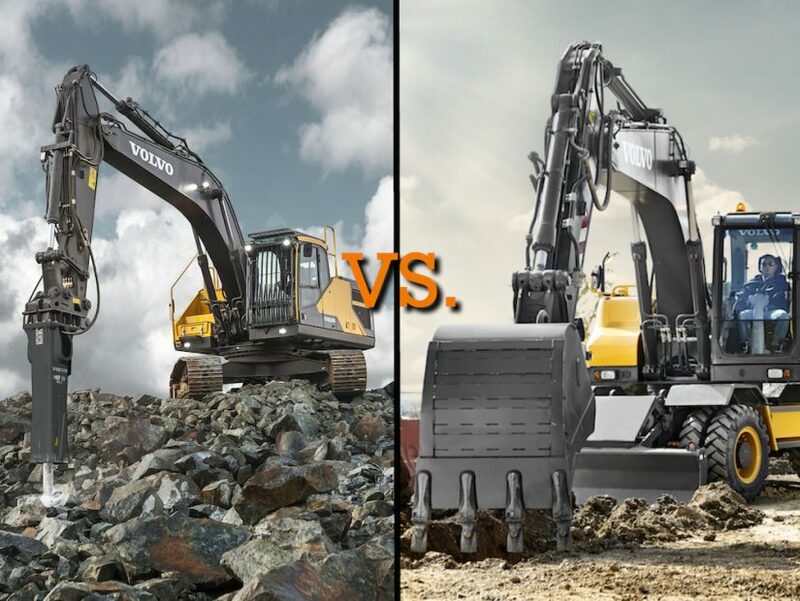 When faced with mid-sized construction applications in an urban environment most American contractors turn to a backhoe, but compared to a wheeled excavator a backhoe has a longer, narrower footprint, less reach, power and dig/lift capacity. Tracked excavators, at best crawl along at 4 to 6 mph. And you need a trailer and big truck to haul them from site to site, or even to cross a road with one. Wheeled excavators can travel up to 22 miles per hour and can cross paved surfaces between job sites easily. This mobility comes in handy and can greatly improve productivity when you have multiple tasks to achieve around a large worksite. Crawler undercarriages are expensive. Once they’re worn out, replacing or refurbishing them is likewise an expensive and time-consuming task. The wheels and brakes used on wheeled excavators last longer, cost less and are fairly easy to replace, giving these machines a low operating cost. Americans tend to look at wheeled excavators as a niche machine. In Europe, the wheeled excavator is considered a tool carrier. If it’s hard digging, grubbing or pioneering you want, or tearing up the surface of your job site is not a consideration then stick with tracked machines. 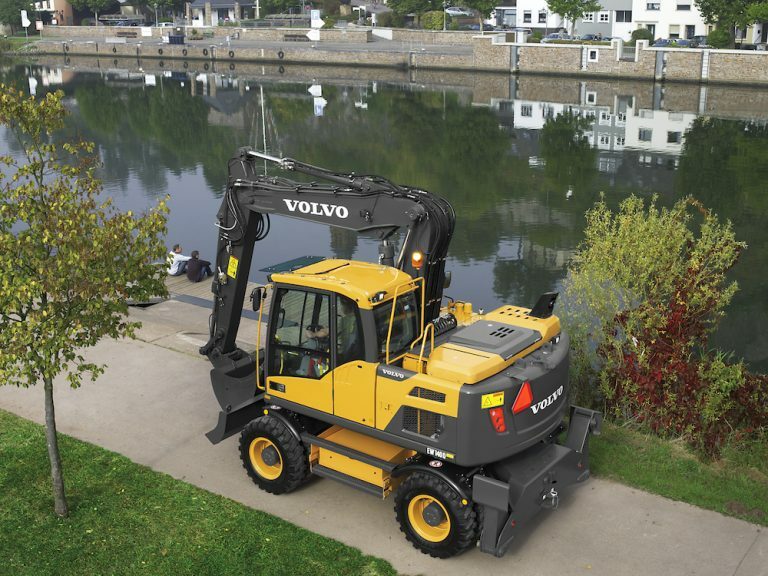 But keep the wheeled excavator in mind if you work on jobs in urban or paved areas, or you’re looking for a versatile tool carrier with more power and capacity than a backhoe.